If it seems like President Trump has spent a lot of time in Twitter fights with the parents of famous athletes, that’s because he has. While still engaged in a highly visible dispute with LaVar Ball, over just who should get the credit for springing Ball’s son from house arrest in China. 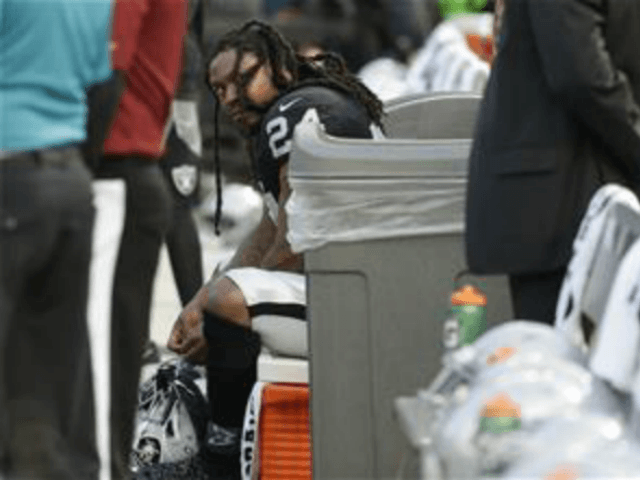 Trump took to Twitter and criticized Raiders running back Marshawn Lynch for sitting during the U.S. anthem but standing for the Mexican national anthem, prior to playing the Patriots in Mexico City. Saying the NFL not let Trump “have” a team, is a reference to the president’s failed bid to purchase the Buffalo Bills in 2014. According to the Washington Post, Linda Del Rio, wife of Raiders coach Jack Del Rio, tweeted that she regretted voting for Trump. Though, that tweet has since been deleted. Retweets don’t equal endorsements, but, Delisa Lynch may not be the most objective person in the world.